The intent of the translation guidelines is to enable the production of translations that are easy to understand and use; that maintain the concepts and integrity of the original outcome measure; and that capture the essence of the language commonly used in the particular country. Recommendations for the Cross Cultural Adaptation of Health Status Measures , Revised June 12, 2007. Why undertake a DASH Translation? International recognition of your work. Step 1: Before undertaking a translation of the DASH and QuickDASH Outcome Measures, please submit Intent to Translate form to the DASH Coordinator at the Institute for Work & Health (IWH). The Coordinator will ensure that a similar translation is not already in progress and will communicate to you an approval to proceed with your work on the translation. Step 2: Once you receive approval to do the translation, you will be directed to the Recommendations for the Cross Cultural Adaptation of Health Status Measures (Guidelines). Please read carefully and follow exactly the guidelines provided in this document. If these Guidelines are not followed, the Institute will be unable to approve your translation. The translation procedure must not modify the original Outcome Measure, a copy of which will be provided to you in electronic format. Note: Your final submission of the DASH translation in PDF must follow exactly the layout and style used in the original electronic document. The Institute for Work & Health holds the copyright for all translations. Step 3: As part of the translation process, there must be ongoing communication in the form of brief status reports over the duration of the translation which we initially determine to be a one-year period. These status reports may consist of: stage(s) of translation in progress, notice of translation being on hold and reasons for the hold, and projected dates of completion and submission. The status reports are to be sent to the DASH Coordinator at four-month intervals from the date of approval of your intent to translate form. This ensures that the Institute is kept informed of your progress with the translation. If you require additional time to complete the translation, you may apply to the DASH Coordinator for an extension. Please note that the optional modules are a part of the DASH and therefore must be included in your translation. When you have completed your translation, please submit electronically (in MS Office format) all reports identified in the Guidelines to the DASH Coordinator who will forward them to the IWH’s DASH Cross Cultural Adaptation Review Committee (DASH CCARC) (see Recommendations for the Cross Cultural Adaptation of Health Status Measures, pages 6-9; pages 14- 44). The IWH’s DASH CCARC will review the reports and approve the translation based on the quality, detail and compliance with the procedures and steps provided in the Guidelines. If the DASH CCARC is unable to approve the translation, their concerns will be identified and communicated to the translator - additional documentation may be requested. On approval of your DASH translation, you must also provide translations of the following: (i) QuickDASH - this is not subject to the same approval process as for the DASH since QuickDASH items can be taken directly from the approved DASH translation; and (ii) the scoring instructions for each instrument. Straight translaton, not cross-cultural adaptation is acceptable for the scoring instructions. The approved translations of DASH, QuickDASH and scoring instructions must be formatted to identified standards (as exist on electronic copies provided for translation) and submitted in PDF format to the DASH Coordinator. © Institute for Work & Health 2006. All rights reserved. In acknowledgement of your translation work we would suggest the statement below should follow the copyright statement: XXXXX translation courtesy of name/organization, country (please edit this text as necessary). Example: Arabic translation courtesy of Dr. Naser Mohammed Alotaibi, Faculty of Allied Health, Kuwait University, Kuwait. 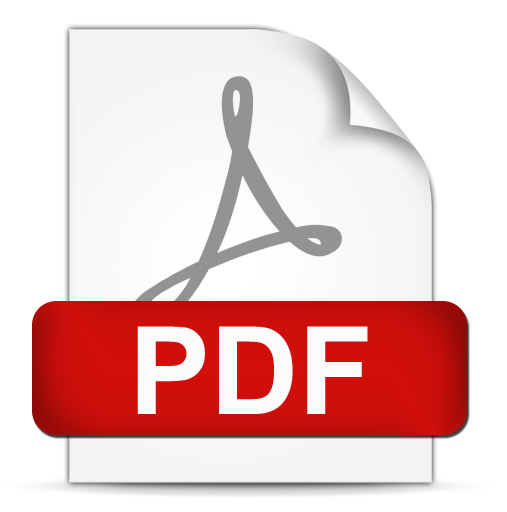 The PDF files of the DASH, QuickDASH and scoring instructions, along with contact information provided by the translator or translation team, will be posted on the DASH website. We make all official translations freely available for use in non-commercial or research projects and educational situations. Upon submission of all translated documents in PDF to the DASH Coordinator and approval of the documents, the Institute will grant the translator/organization a perpetual licence (no set expiry date) for use of the translations in non-profit projects. For more information about DASH/QuickDASH licences, click here.